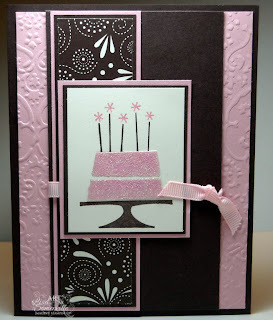 This week the Creative Inspirations Design Team was given the following challenge theme "it's all in the icing". 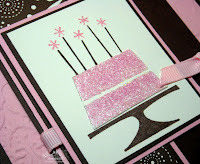 The first thing that popped in my head was to create something with a birthday theme using Creative Inspirations Paints. The image is stamped in Chocolate Chip, I added the candles, then stamped the image again on scrap paper with Versamark and embossed. I cut the cake and adhered it over the stamped image, then painted on the "icing" with Creative Inspirations TuTu Pink Paint. Looking for more inspiration with this weeks theme, click the Creative Inspirations Paints logo on my sidebar, Team A is posting this week, Team B will share their cards next week. Fantastic cake! Love the shimmer on the icing! Beautiful design! Yummy! I love your colors- and what a great image you worked with! Great card! OH MY--this is SUPER cute! I LOVE it! I love that cake! Great job! Love the colors on your card! The icing looks delicious! So shimmery!! I love the color combo, fab icing! 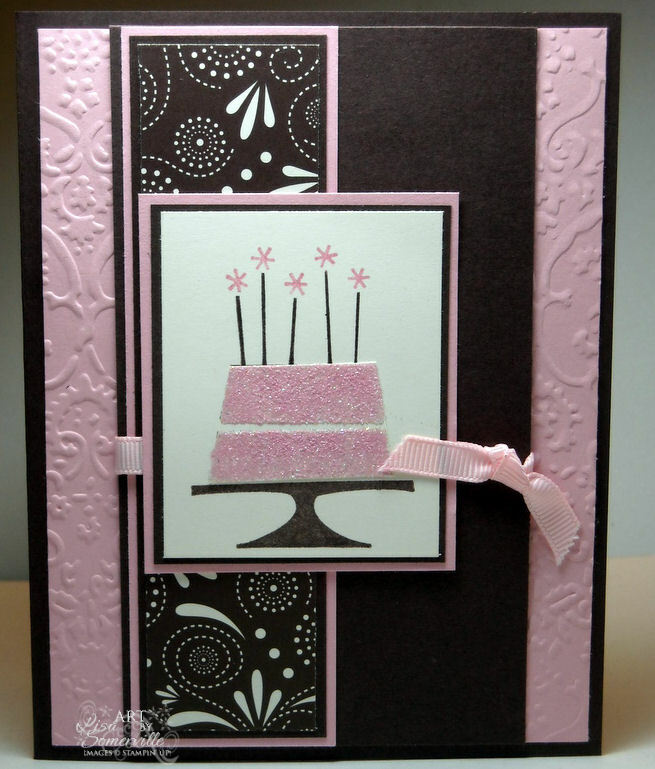 Gorgeous choice of colors and papers and your cake looks awesome. Love the card! I love your card Lisa. Great job on the card!! Love the colors you used, along with the image! Love the shimmer in the icing!! MMMMMM excellent card! LOVE the colors, love the cake, and LOVE the icing! hee heee!